Black colored T-Shirts with white design on front. 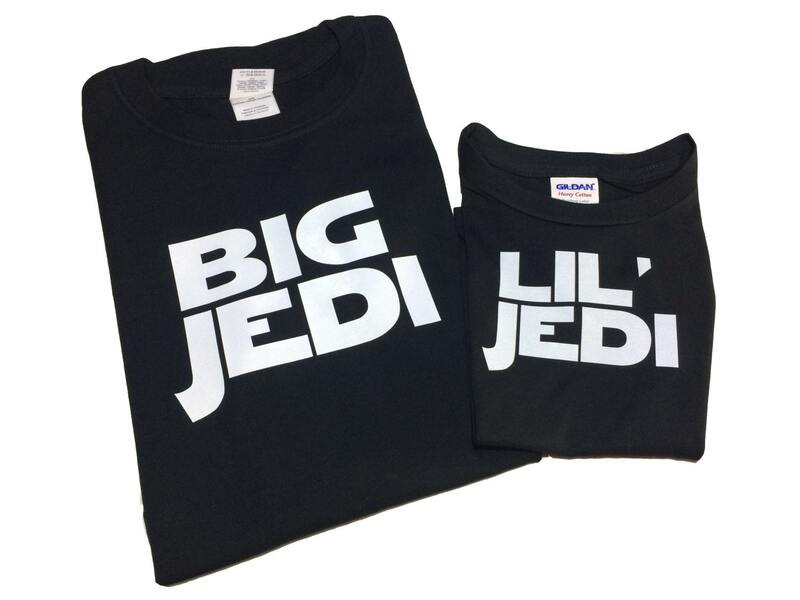 This is a set of 2 shirts, one for dad and one for the kid. These Fun T-Shirts feature simple and basic designs. A spin off from our famous aprons is our driving force for our t-shirts. Custom Sayings are always available and never a problem. Biagio is awesome to work with and he's super quick with his responses. I saw an embroidered shirt I asked if he could custom for me. He gave his advice that screen print would be better than embroidery and made a custom order that turned out better think I imagined. It's going to be the perfect for the Star Wars fans.